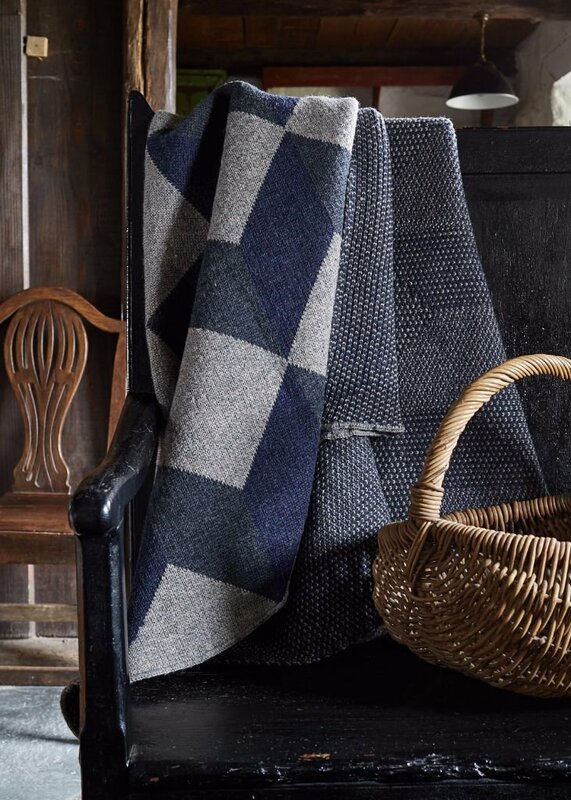 These British Woollen blankets are knitted in a Geometric 3-D Tumbling Block Design with a muted colour scheme comprising; Charcoal Grey; Denim Mix and Saddleworth Mist. And, if you have any questions on my blankets, just ask. 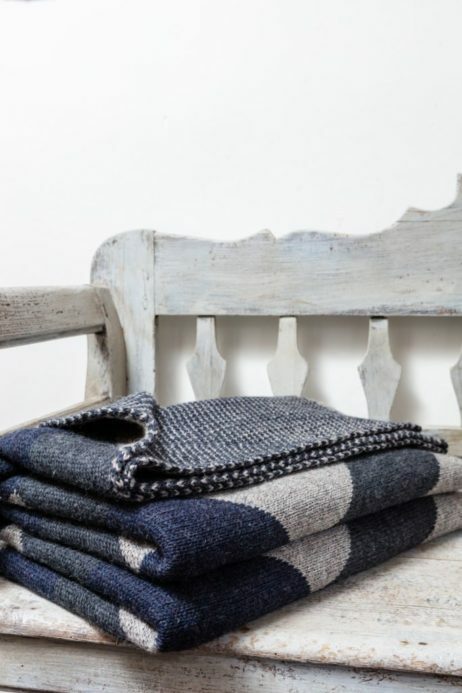 I guarantee every blanket will keep you cosy and you will enjoy them for many years. I make my quilts& because I love colour, textures and fabric. 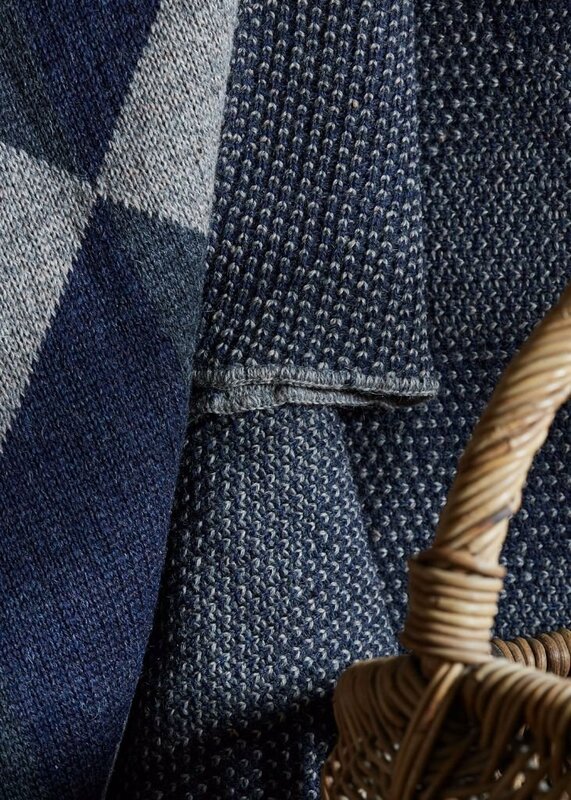 I wish to stitch useful and beautiful products that people will enjoy and take solace from and that are made to last. 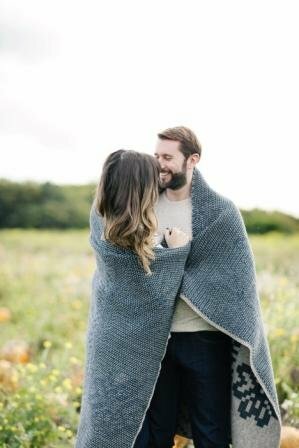 I’m always looking to develop my collections, so wished to try out knitted blankets. What do you think? 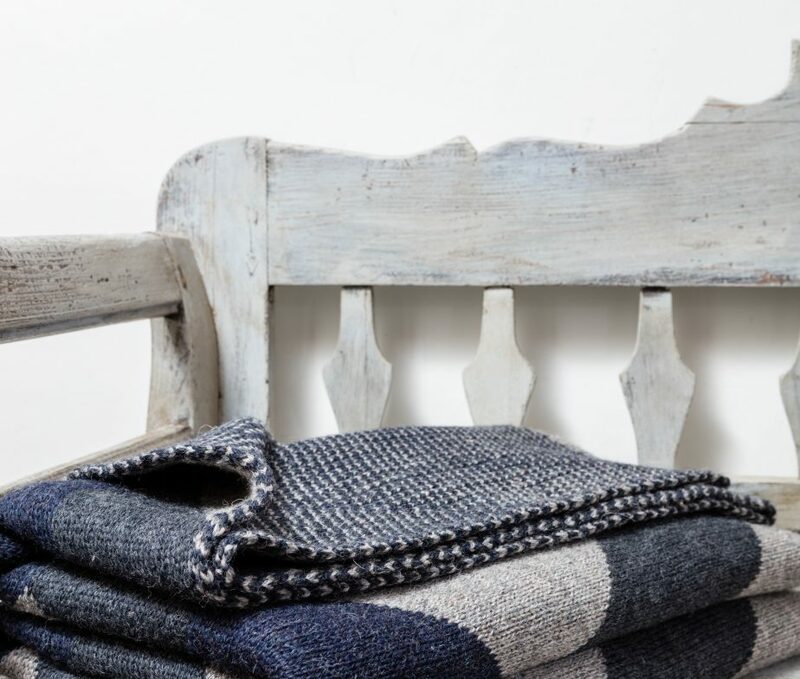 This blanket is made from Yorkshire wool. As such this blanket is robust and will wear well. Animal hairs can be removed by hoovering. Small stains can be removed with a damp cloth. I suggest airing this quilt periodically to refresh it. For a thorough clean, I recommend Dry Clean Only. Your blanket will be posted to you By Lisa Watson within 3 days of receiving payment. P&P in GB is free.